Shopping for a car, SUV, or truck with all-wheel drive? Cactus Jack's Auto has a selection of 6 used vehicles with AWD. Whether you’re heading to Camelback Mountain for rock climbing or a park in Costa Mesa, you need a vehicle that can conquer tough terrain with ease. We’re proud to offer Mesa and Surprise shoppers one of the most extensive used car inventories in the area. Here, you’ll find top-notch vehicles with AWD from brands like Jeep, Chevy, and Ford. Find the right model for you below! 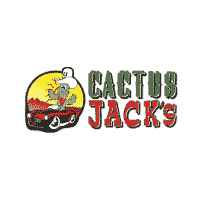 Why Shop Used Vehicles with AWD at Cactus Jack's Auto?